Cassandra is a high energy, positive professional who proactively combines a broad range of strategic and operational experience with a results driven approach to business. 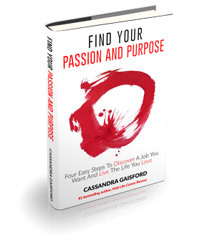 Cassandra has over twenty years of experience in the coaching and leadership field. Her specialist areas are leadership development, transformational change, coaching and talent management strategies. 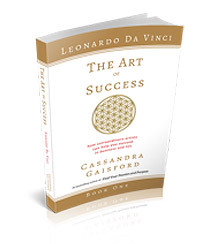 She is highly regarded internationally as an expert in the career and personal development field. She believes in continually staying updated with best practice techniques and sharing these with others. 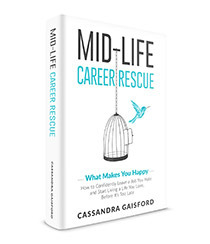 She is the author of Happy at Work for mid-lifers and for over 5 years she wrote a regular career column for the Dominion Post. Most recently she has been writing for the New Zealand Herald on career and business issues. She believes in staying abreast of change and regularly updates her knowledge of best-practice career management techniques, particularly those related to mature job seekers and 3rd age careers. She has presented her unique Passion Driven Work model to a world forum of career professionals at the International Career Practitioners conference in San Francisco, and attended a symposium of career professionals in Venice, Italy. Her unique insight and in-depth understanding of human and organisational behaviour, particularly the various ways people embrace or reject change, and increase leadership capability, is gained from diverse business experience, qualifications and training in the areas of commerce, coaching, counseling, psychology, HR and strategic change communications. She has been on both sides of the fence giving her a rare ability to bring a fair and objective perspective to employment issues. 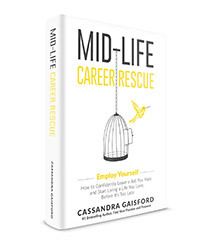 Cassandra is passionate about helping others to thrive and survive in the wake of change, work to their strengths, pursue their passions, and fulfil their potential. Put simply, she is passionate about what she does and does it well. Cassandra favours positive psychology, solutions focused and appreciative enquiry approaches to create positive, transformational and lasting change. She has experience using the Lominger FYI Development and Coaching System, Myers Briggs Personality Type Indicator and Team Management Profile and Belbin to enhance leadership development coaching and facilitation. Cassandra is regularly sought after as a keynote speaker and by media seeking an experts opinion. She has also contributed to publications such as “Employment Today”, “Career Edge” and “Marie Claire” and been interviewed on National Radio and nati0nal television. In 2008 She was the resident coaching expert on Television One’s Good Morning Show. She is a well-known writer in the area of “passion at work.” .For four years she wrote a holistic careers column for the Dominion Post has contributed to publications such as The New Zealand Herald, Marie Claire, Employment Today”, and Career Edge. …and yes she does still manage to maintain work-life balance! In her spare time, she travels, nurtures her daughter’s passions, paints, sculpts and writes travel memoirs and romance novels! She is currently writing her first art-related novel of historical fiction set in Renaissance Italy.